http://www.coltnesscarclub.com/ – The Home of the Bears (Lanarkshire). http://www.admcclub.com/ – Aberdeen and District Motor Club (Aberdeen and North East). http://www.berwickmotorclub.co.uk/ – Berwick Motor Club (Scottish Borders). http://www.borderecosse.com/ – Border Ecosse Car Club (Scottish Borders). http://www.dunfermlinecarclub.co.uk/ – Dunfermline Car Club, mainly East of Scotland but draws membership from all over. http://www.eastayrshirecc.co.uk/ – East Ayrshire Car Club owns track at Kames (Ayrshire based). http://www.hawickandbordercarclub.co.uk/ – Hawick and Border Car Club (South East Scotland). http://www.highlandcarclub.co.uk/HomePage.aspx – Highland Car Club (Inverness and North West). http://www.macharscarclub.co.uk/ – Machars Car Club (South West Scotland and South Ayrshire). http://www.mullcarclub.co.uk/ – Isle of Mull and West of Scotland . http://www.solwaycarclub.co.uk/ – Solway Car Club (South and South West Scotland). http://soscc.co.uk/v2/ – South of Scotland Car Club (Dumfries and the South). http://www.wdmc.org.uk/ – North East England based car club active in the Scottish Borders. http://www.63carclub.com/ – 63 Car Club (Elgin and the north). http://www.smmc.org.uk/ – Scottish Motorsport Marshals Club (a national club). http://www.snowmanrally.co.uk/SnowManRally/Home.aspx – Inverness based Snowman Rally. http://www.bordercountiesrally.co.uk/ – Jedburgh based Border Counties Rally. http://www.speyside-stages.co.uk/ – Elgin based Speyside Stages Rally. http://www.jimclarkrally.org/ – The UK’s only mainland ‘closed public road’ rally. http://www.scottishrally.co.uk/ – Dumfries based RSAC Scottish Rally. http://argyllrally.co.uk/ – Dunoon based forest rally. http://www.gallowayhillsrally.co.uk/ – Castle Douglas based forest stage rally. http://mullrally.com/ – The UK’s first ‘mainland’ closed public road rally – on an island! http//:scottishmotorsportsclubs.co.uk – Details of all Scottish Car Clubs and their activities. 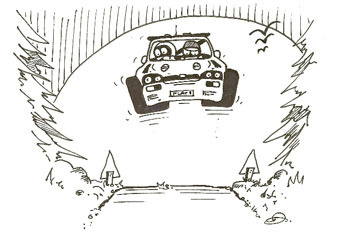 http://www.j1000ecossechallenge.co.uk – Budget rallying, and rallying for 14 to 17 year olds in 1 litre cars. http://www.colinmcrae.com – The one and only. http://www.alistermcrae.com/ – Alister McRae nows lives in Australia. http://www.knockhill.com/ – Scotland’s only full-time race circuit. http://MotorsportUK.org/ – Motorsport UK (our governing body!). http://www.flyingfinish.co.uk/ – mainly Scottish forest events results. http://www.scotresults.co.uk/ – mainly Scottish tarmac event results. http://nersresults.co.uk/ – north of England events. http://www.tynecomp.co.uk/AboutLiveResults.html – International (England and Scotland) rally results service and the first to introduce fully computerised rally results.